Fresh rebuild with new old stock where required. 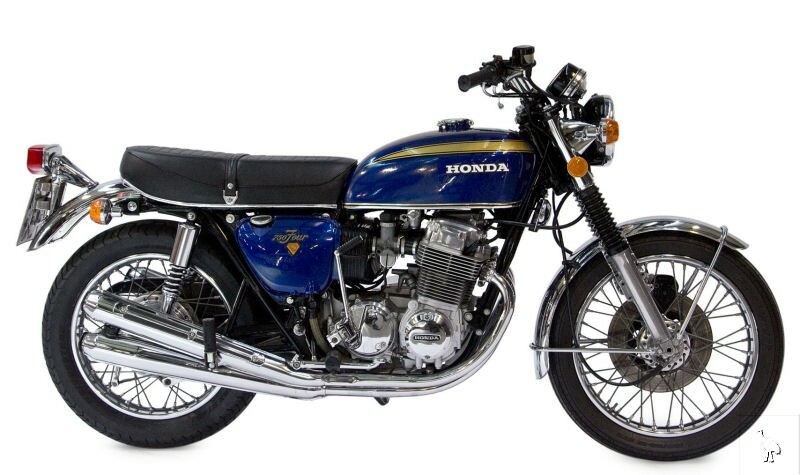 You start thinking about Honda’s CB750’s startling introduction back in ‘69 (remember who won the World Series or who took the Oscar for best actor?) and you admit now as then it was quite a package. The first four cylinder engine (in many years) for public consumption, the first disc brake equipped stock bike, the electric starter, that never before sound and the smoothness. The Mach III and the Honda Four really are responsible for this whole super-bike phenomenon upon us. Different strokes for different folks, you might say, but they were the instigators.' Cycle Guide 1972.